I want to add webparts to right hand side of the master page as they are repeating on every page. I reduced the placemainholder main area to create space on the right but i cannot reach to that point using div tags. 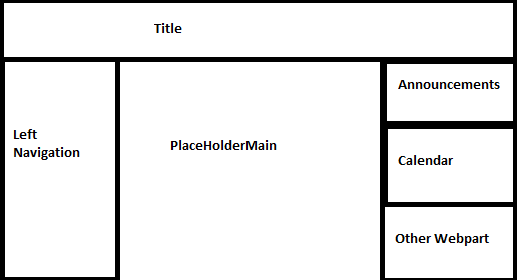 I can only add webparts below the palceholdermain contentplaceholder but not on the side. You could edit the master page and add the 1*3 table in the right-hand side of the master page. Then add the announcements web part, calendar web part and other web part in the each cell in the table. Not the answer you're looking for? Browse other questions tagged sharepoint-enterprise 2010 sharepoint-designer custom-masterpage or ask your own question.